A family secret is revealed during an ill-fated--yet hilarious--trip to Disney World. Sixteen-year-old Hannah Sampson knows her family is not what you would call normal. 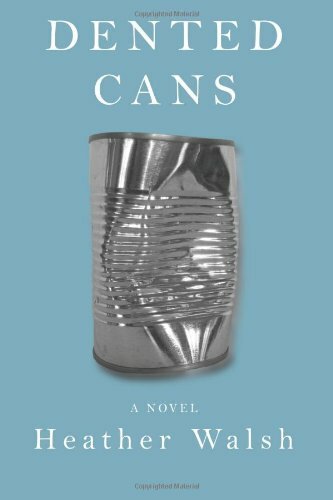 Her father compulsively buys dented cans and has a particular fondness for cans without labels, which are extremely discounted because their contents are a mystery. Her mother takes countless pictures of her family and then glues them down into the pages of her scrapbooks, but does not allow anyone to look at them. Ryan, Hannah's mischievous fourteen-year-old brother, is headed straight for the remedial track at the local community college, if he’s lucky. Ben, her eight-year-old brother, is a walking sound effects machine, who prefers to communicate with noises rather than words. While Hannah is focused on escaping her working-class Connecticut suburb, she also finds herself being tugged back home as she worries about her brother Ben. Hannah’s parents inflict one last family vacation on the Sampson children, a trip that goes comically wrong almost from the get-go. Hannah is forced to confront her family's past in Disney World, of all places, when an emotional argument prompts her parents to disclose a secret they have been keeping from the children for sixteen years. Ultimately, she must decide whether to leave her hometown and not look back, or to focus on helping her family. 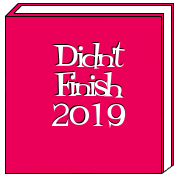 Dented Cans was a quick and easy read but I wanted more to happen. The blurb refers to a big family secret that gets revealed during a miserable vacation to Disney World but that doesn't happen until the end of the book. The rest of the story just kind of breezed by with nothing to engage me. I think just about everyone I know can claim a dysfunctional family but the Sampsons really do have family drama and I think more could have been done earlier in the book to show why Hannah can't wait to get out of her small town. Also there were little hints of more drama that never got fleshed out. I was left wondering about why her parents were so secretive about where they met. Why was Aunt Lydia staring at Ben so sadly. What really happened to cousin Eddie and where is he now? Why doesn't her Mom let anyone see the scrapbooks? Was something really wrong with Ben or are the sounds his way of coping? Overall this was a pretty good read but I feel it could have been so much more. I recommend this one for anyone who loves dysfunctional family drama. For much of her life, Anne Morrow, the shy daughter of the U.S. ambassador to Mexico, has stood in the shadows of those around her, including her millionaire father and vibrant older sister, who often steals the spotlight. Then Anne, a college senior with hidden literary aspirations, travels to Mexico City to spend Christmas with her family. There she meets Colonel Charles Lindbergh, fresh off his celebrated 1927 solo flight across the Atlantic. Enthralled by Charles’s assurance and fame, Anne is certain the celebrated aviator has scarcely noticed her. But she is wrong. Charles sees in Anne a kindred spirit, a fellow adventurer, and her world will be changed forever. The two marry in a headline-making wedding. Hounded by adoring crowds and hunted by an insatiable press, Charles shields himself and his new bride from prying eyes, leaving Anne to feel her life falling back into the shadows. 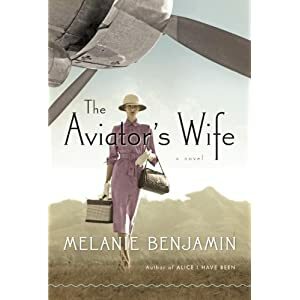 In the years that follow, despite her own major achievements—she becomes the first licensed female glider pilot in the United States—Anne is viewed merely as the aviator’s wife. The fairy-tale life she once longed for will bring heartbreak and hardships, ultimately pushing her to reconcile her need for love and her desire for independence, and to embrace, at last, life’s infinite possibilities for change and happiness. Drawing on the rich history of the twentieth century—from the late twenties to the mid-sixties—and featuring cameos from such notable characters as Joseph Kennedy and Amelia Earhart, The Aviator’s Wife is a vividly imagined novel of a complicated marriage—revealing both its dizzying highs and its devastating lows. With stunning power and grace, Melanie Benjamin provides new insight into what made this remarkable relationship endure. I really wanted to love The Aviator's Wife but sadly the book fell very short of my expectations. Historical fiction has just recently become a genre that I've fallen in love with and when its fiction including a well known historical figure I thought I would enjoy this read. There was not one single thing about Anne that captured my attention. I kept waiting for more and more to happen but the whole story was flat lined. Nothing about her courtship, subsequent life with Lindbergh or raising her children was interesting to me. Even when her first born son was kidnapped I felt no connection with Anne or any of the characters. The one interesting thread in the book is just a few lines of spark hinted at when the book is set in Hawaii in 1974 but even that could have been expanded on. I was more interested in the Wikipedia version of that incident than Ms. Benjamin's. It's hard for me to say who might like this one. 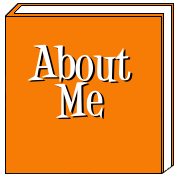 Reader's who gave this a 5 start rating love that the book gave Anne a voice instead of just being an Ambassador's daughter or a great aviator's wife so maybe this is a must read if you enjoy reading about striving to make your own mark in life. Kat Delaney is a world class caver and microbiologist. While investigating one of the deepest caves on Earth, she becomes trapped, along with her team of fellow cavers and scientists. Far below the ruins of a Mayan city, they struggle to escape this mysterious cave, reportedly cursed and haunted by the Lords of Death. Kat’s husband, Mark, a doctor and pioneer of nanotechnology with a deep-rooted fear of caves, must try to rescue her. He enlists the help of a Mayan guide, who turns out to have revolutionary ambitions. Kat must keep her unravelling team together when they discover that something as threatening as the Lords of Death lurks within the cave. Mark must choose between trusting a guide who is patently untrustworthy, or leaving Kat to die. Will they escape? Will science be the solution? Or will it simply affirm their sentence as the Lords of Death win once again? 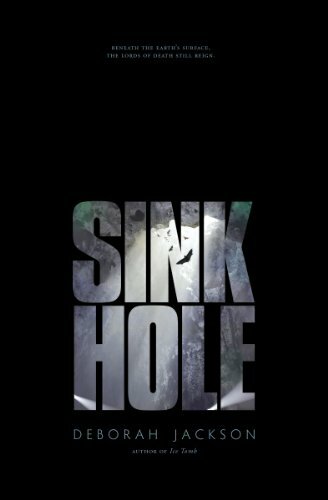 Sinkhole is a book that I can easily see turned into a movie. It has action, suspense, drama and real characters. Each one of the characters in the story had their own reasons for putting themselves in danger by exploring the caves. 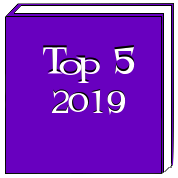 Their backstories are written with enough detail that you become engaged with them, even the "bad guys", but not so much as to go over-the-top. The plot is very well done but I do have to say that the reason Mark goes after Kat is just a little to far fetched. That is the only reason why I didn't give the book 5 stars. It seems to me that Mark could have found someone to search for Kat if he would have kept looking but he took it upon himself to search for her even though he is deathly afraid of caves. It just seems to me that with his money and resources it would have been easy to send a search team in. 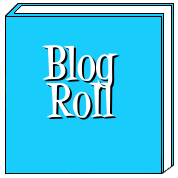 Overall I enjoyed Sinkhole as much as Ice Tomb (read my review) and look forward to reading more by Jackson. I recommend this one for anyone who loves suspense thrillers with a sprinkling of sci-fi. My grand total for 2012 was 113 books which is up from 58 books in 2011. This includes standard books, ebooks and audio books. 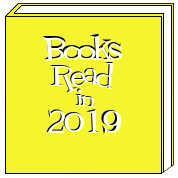 This year I'm going to track my audio books separately and when I review a book I'll also link it here.